Thousands of children in Lebanon are denied full access to education, healthcare and residency because they do not have Lebanese citizenship. Lebanese women cannot pass on their nationality to their children and in the event of separation, it is the father who gains automatic custody, according to Lebanese nationality law. There is a saying in Lebanon: The only woman you’ll see in parliament is the one wearing black, mourning for the death of her husband or brother, whose political mantle she has inherited. In a country famed for being the region’s most socially liberal and politically democratic, just one woman, Bahia Hariri, the sister of slain former premier Rafik Hariri, became a member of Lebanon’s new unity cabinet, announced in early July. Although Bahia was an MP before her brother's assassination in 2005, women cabinet ministers such as Nayla Moawad, former minister of Social Affairs, or former Industry Minister Leila Solh, joined politics after their husband and father, respectively, died. Women were only present in parliamentary life twice between 1952 and 1962 and then not again until three female members of parliament (MPs) won seats in the 1992 elections. “Women’s groups are demanding a 35 percent quota in representation in the government, which would allow for issues such as the custody and nationality law to take precedence,” said activist Roula Masri. Women’s groups are demanding a 35 percent quota in representation in the government, which would allow for issues such as the custody and nationality law to take precedence. In the last Lebanese parliamentary elections in 2005 only three MPs out of 128 were women - far fewer than politically restricted neighbours such as Syria, which had 30 women MPs out of 250; Jordan which had 13 out of 165; and Egypt which had 31 out of 718. Parliamentary elections in Lebanon are due next April. Women make up about 53 percent of the population - around two million citizens - while research by the Collective for Research and Training on Development Action (CRTDA) found that women aged 23-34 outnumber men by seven to one, because most young men are employed abroad. While making great strides in the labour force, with women highly visible in sectors such as the media, advertising and design, poor political representation is hampering women’s ability to reform discriminatory laws, say activists. CRTDA recently re-launched its “Nationality Campaign”, lobbying politicians on the right for women to nationalise their children if marrying non-Lebanese. The nationality law was established in 1925 and partially reformed in 1994 in a complex decree. According to a 2008 report by the non-governmental organisation (NGO) Frontiers Association, the 1994 amendment allows the child of a Lebanese mother and foreign father to gain Lebanese citizenship after the child's marriage to a Lebanese, and at least five years uninterrupted residency in the country, including one year after marriage. A more comprehensive reform to the nationality law has become mired in the political issue of the presence of tens of thousands of Syrian workers and 400,000 Palestinian refugees in Lebanon. Some politicians have argued that to allow Lebanese women to nationalise the children they have with non-Lebanese, such as Syrians and Palestinians, would be to shake up the delicate sectarian demographic on which the country’s political system is founded. But according to activist Masri, figures from the Interior Ministry from 2001 indicate that only 1,000 Lebanese women are married to foreigners, although she admits these need updating with field research. “However, the issue is not about how many women are married to Palestinians, Syrians or other foreigners but that they have to amend this law to highlight that this is a human right,” she said. that we don't have a right to them." Even in simple, everyday tasks, women can find they have fewer rights than men. Rania Choueiri, a jewellery designer who owns a shop on trendy Monot Street, recounts her story of trying to open a bank account for her son, Karim. 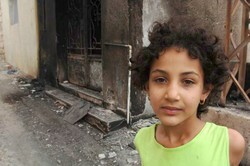 “They asked me where is his father,” said Rania. “I asked why they need his father when I am his mother and want an account for my son. They told me that only the father can open the account. I couldn’t believe it." Lebanon’s nationalisation campaign has harnessed social networking website Facebook. A group centred on discussion of the nationality law currently has some 8,000 members. "Many Lebanese women abroad have children and would like to return to Lebanon with their families but are prohibited because they are unable to provide legal papers to their families,” said Masri.